How many professions contain frauds or scammers that trim your wallet fat? “Psychic” scammers aren’t any different. There’s no shame to fall prey, for I’m one to relate. The Best Psychics are Mystic Healers, not a charlatans or scam artists. I listed some precautions you can take, after each scam tactic, . It’s not 100% scam-proof, but gives you enough information to go by on making the right decision. What’s the first sneakiest tactic on the menu? Remember how amazing Sherlock’s Holmes observation skills are? Maybe you’ve seen the show The Mentalist? He/She observes your weight, height, gender, clothing etc., feeding information on habits, likes, dislikes without prior personal info! The cues yell-out subtle aspects of your life, empowering fraudsters with an upper-hand advantage. Cold reading is highly effective when mixed with a pinch of hot reading (Having prior information on a person’s life by doing some FB research, for example). Hot readings are popular on T.V. psychics like John Edward Or Miss Cleo. You notice how sharp observing unveils information which frauds dig for? Scenario #2: You’re wearing a black dress and got baggy eyes maybe due to crying. The fraudster observes this and comes to a conclusion. Make sure you’re wearing nothing that’ll indicate personality traits (Jewelry, necklaces, rings or that “I love rock n roll!” t-shirt). What’s a good scam-proof question real psychics can answer? The 2nd Hermetic Principle states this…. As above, so below; as below, so above.”–The Kybalion. 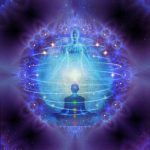 The 7 hermetic principles bridges the universal laws between our soul and cosmological realms we inhabit. Like a mirror, our inner world reflects our outer world. 7 eternal principles correspond universal laws between macro and micro objects of nature’s reality.. Nature never lies! We see her beauty reflect this old-school principle. I’ve met intermediates who even knew this! What does that say about a fraud who’s clueless about the hermetic principles? A televised fraud says “I see someone with some type of stomach disease, pancreatic, colon, live? ” A hand raises from the crowd. 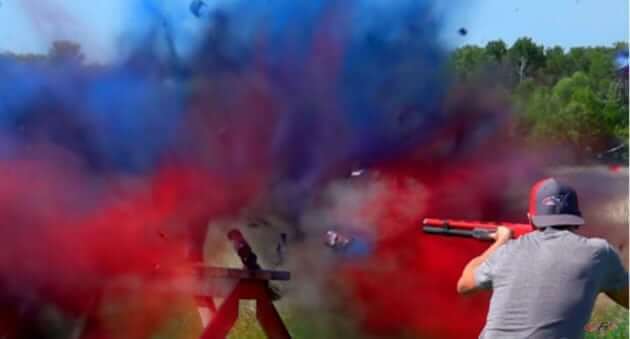 Shotgun blast sprays a series of cold reading and HOT reading. Didn’t you say hot readings are based on personal researched information? So how is it a hot reading? It’s a general hot reading based on statistics! Think about it. 30% Americans (general stats) get cancer year. Hot reading includes stats like general demographics. Frauds play on people’s common personality traits to sneak under their radar. A shotgun blast + general hot reading stats = double trouble. If you’re sitting in your chair, are you doing “nothing”? Of course not! You’re physically dancing in motion. Your cells always moving, blood pumping, and your nerve synapses are firing away soaking-up this article’s words. 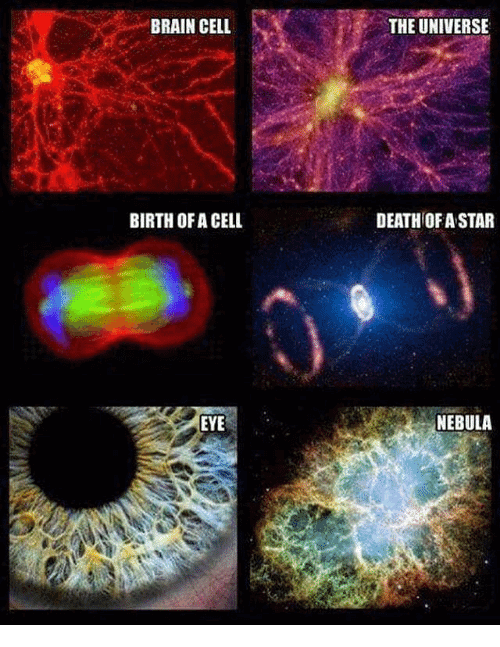 Atoms are always changing, vibrating, and reforming your molecular being. These Scientific principles aren’t any new to a real divination psychic reader. The fraud baits you with statements to “wow” you with information they’ve gathered from cold reading. Bite the worm and reveal too much information….Then the fraud will follow up to hook line and sink you. The fraud solidified your trust at this point. The statements are vague and applies to the general person. The Statements CAN be more advanced, depending on the scammer skill set. For example…. And you say “For 10 years now, how did you know! ?”(Struck gold) . The fraud hooks you further by a follow up on what you’ve just revealed! Info fishing helps fraud bypass your skepticism with your cooperation. Scam-Filter Question #3: Tell Me What’s The Tarot’s Origin? Do you remember what the ancient Egyptians studied? What did we learn in school? Basic high school mainstream knowledge told Egyptian religion was is based on the study of stars and planets (Astro-Theology). 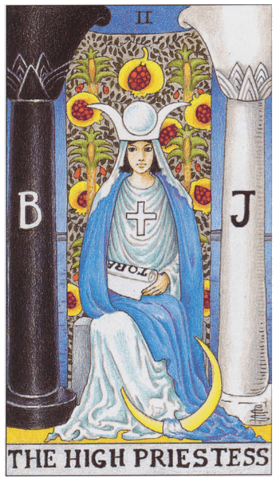 Notice the 2nd tarot card the “high priestess”. Look at the biblical scroll on top of her lap? The letters spell out “Tora”. She holds a scroll of the Jewish Old Testament. The holy High Priestess veils the H as saying “Wisdom is only for those who seek it”. She’s the gatekeeper of reality (Who is the key master?). Such frauds give a weak wikipedia answer such as “Oh they were playing cards blah blah”. We tend to forget this one simple fact that the major Abrahamic religions all started in Egypt. Again, information only a real practitioner or veteran reader should know! It’s like asking a math-based engineer to solve elementary additional problems. What if I said to you “You’re generally happy at times but I see there’s dark clouds over your head”. “You’re generally smiling, having a good laugh with your social circle, but I see there’s stuff if you keep hidden from people that has a dark cloud over your head. Personality traits/emotions everyone’s felt at some point in their lives, positive or negative. The more detailed the rainbow, the longer you ride it. Everyone’s experienced general positive/negative human trains in their lives or you wouldn’t be human. Here’s other examples not as specific. Scam-Filter Question #4: Can I be Psychic? Your psychic intuition is a buried treasure chest lying deeply dormant within everyone! I find the best psychics are ones sharpening their skills. It’s about exercising your power. Like performing bicep curls at the gym. You shape and enhance dormant abilities by mental exercises. Exercises such as yoga, dream yoga, ceremonial ritual magic etc. A mystical reader enhances your psychic intuition with divination tools (like the tarot). Because when learning any divination tool the reader should be telling you what they mean and HOW it works. You can disregard your reader eventually when you reach a point in your sessions. Although ,I do know of advanced psychics who still get readings from others. To each their own. Psychic scam tactic #5: Fake News: Tell Me What I Want To Hear Baby! We’re people with deep desires, passions, ambitions, fears, worries, and the fraud will use that to their advantage. Cover your ears to this mambo-jumbo. True readers are upfront and never cut city corners. They’ll tell you straight up “GET out of the relationship now!”. The mystic psychic doesn’t beat around the bush. Don’t forget, even REAL psychics can still feed you lies. Encountering a real psychic doesn’t mean they’re out for your best interest. Scam-Filter Question #5: How Often Do I Need To Come Back? The events of your life need to play out. The movie strip of life events need time to play out the role. Makes no sense to see the psychic seer 1-3 times a week. A legit psychic will tell you no longer than a week. People usually visits psychics 2-4 weeks.